Few days earlier TIME magazine released annual list of 100 influential celebrities of 2018 from around the world. The list includes names of the personalities whose contribution influenced in the field of culture, women empowerment, activism and politics. 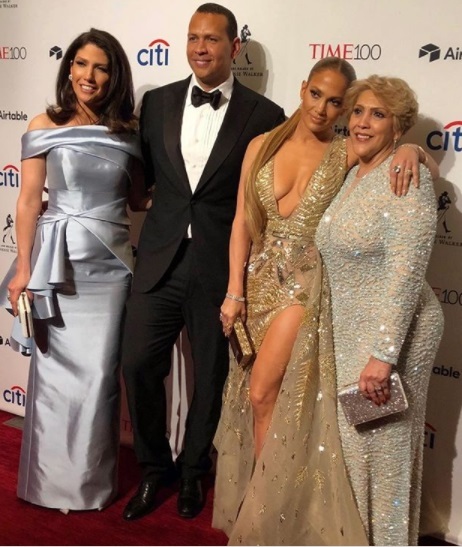 TIME 100 2018 Red Carpet honored the mos influential people of 2018 on Tuesday at Lincoln Center in New York city. Bollywood actress Deepika Padukone was an only Indian actress on TIME magazine’s influential list who was honored at the TIME gala. 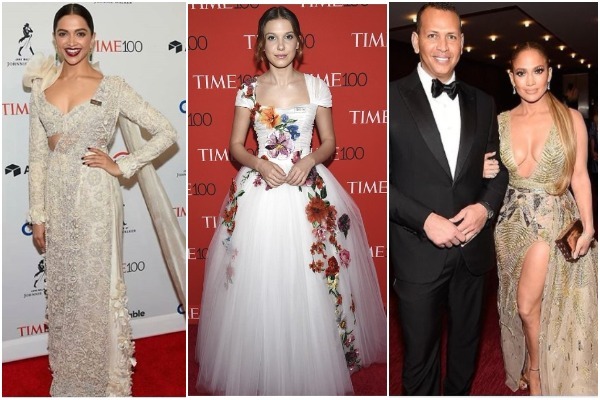 Besides, Hollywood celebrities Nicole Kidman, Emily Blunt, Millie Bobby Brown were among the others spotted at TIME 100 Gala 2018 including Florida Parkland shooting activists and #MeToo activist Tarana Burke. 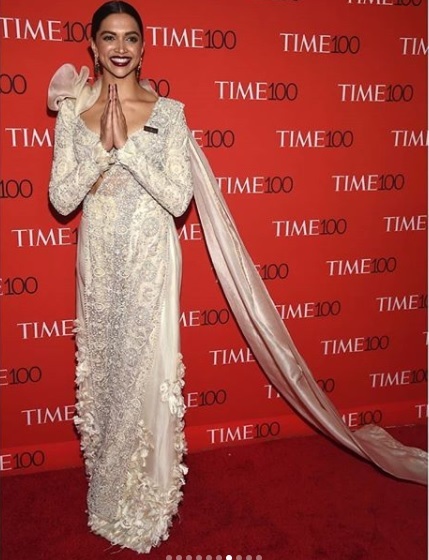 Deepika Padukone did not hesitate to greet ‘Namaste’ in a stunning Anamika Khanna customized Indo-Western saree. Singtress Jennifer Lopez appeared in a bold Zuhair Murad designed golden embellished plunging gown, featuring a thigh high slit. She walked the red carpet alongside Alex Rodriguez. She was also accompanied by her beautiful mother and sister. 14-year-old ‘Stranger Things’ actress Millie Bobby Brown made history becoming the youngest person ever to make to the annual Time Top 100 list. She looked pretty in Dolce & Gabbana white ball gown with bright contrasting applique flowers. Couple goals! Emily Blunt stepped in black Brock collection number along with her husband John Krasinski. The Quiet Place actress absolutely looked stunning. Aussie actress Nicole Kidman was beaming alongside her beau Keith Urban at TIME gala red carpet. The Oscar winning actress and the country singer looked so cute together. I, Tonya actress Margot Robbie kept it simple wearing Prada from top to toe. She opted for long white dress with a plunging back-line with soft pink color satin heels and purse at TIME 100. TV host Padma Lakshmi, 47, attended the TIME 100 red carpet in dreamy dress by Christian Siriano. She looked hot in poppy red and pink shade. 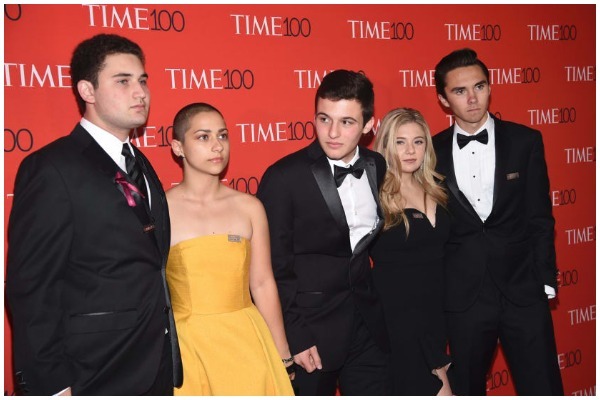 Florida Parkland shooting student activists Alex Wind, from left, Emma Gonzalez, Cameron Kasky​​​​, Jaclyn Corin and David Hogg attend the Time 100 Gala. 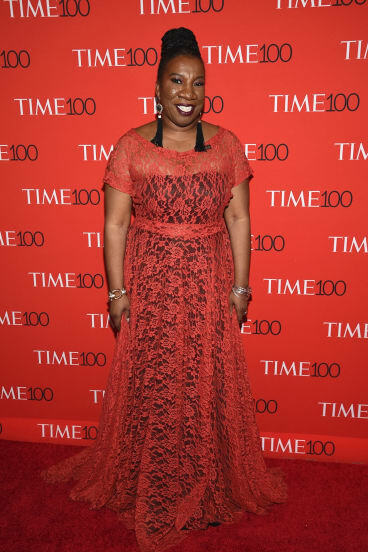 Civil rights activist, and creator of the #metoo movement, Tarana Burke attends the Time 100 Gala. Previous : Sonam Kapoor, Kareena Kapoor & Swara Bhaskar starrer ‘Veere Di Wedding’ Trailer is out and we can’t keep calm!